Want to see real diversity on your campus? Bring a CBL speaker to your school and add a much-needed conservative perspective to the conversation. 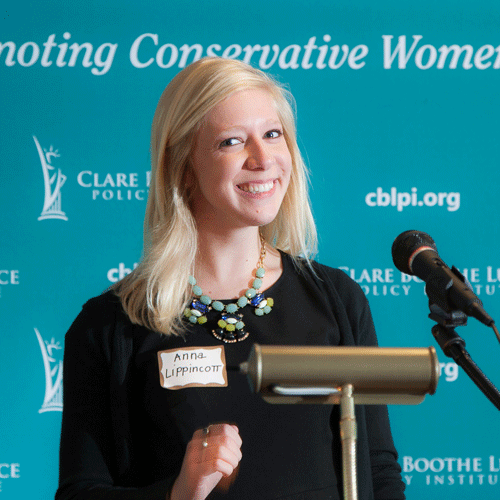 Give conservative women on your campus a platform and a voice! Be visible. Be persistent. Let the liberals know they don’t own the campus, no matter how loud and obnoxious they get! Since only a small percentage of women actually consider themselves feminists due to the term’s negative connotation, conservatives face a choice. You will need to form opinions of your own in college, which can be scary for someone just leaving home. Lucky for you, we have created a seven step guide to help you become the most accepted identity on a college campus – a Leftist. A wife, a puppy rescuer, and a successful public relations director. A wife, mother of two, and Director of Development for a Christian school.